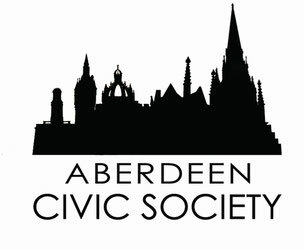 The Aberdeen Civic Society Awards Ceremony is highlight of our events calendar. It gives the Society the opportunity to highlight excellent development that, by going that extra little bit, greatly contributes to the City's built environment an dpublic amenity. Click on the appropriate year above to see what buildings we thought really stood out. An Aberdeen Civic Society Award is only given to those projects that we consider really deserve one. We would like to think that it is difficult to argue with our decisions because the finished project makes a real contribution to our city. Some people may love the contribution and others may dislike it, but whichever camp you fall into, you cannot deny that a contribution is being made. A Commendation is given to projects that are seen to make a real contribution to Aberdeen, but there is maybe something, just something, that is not quite right. It may be the location, the materials used or some design aspect that gives rise to a commendation rather than a full award. Very often it is the commendations that command the greatest discussion in award committee meetings, because some members consider that the contribution from the finished article outweigh any negative points, and others take the opposite view. We make a Special Mention of those projects that we consider worthy due to some element of the work that has added to the space in which it is located. It may be that the whole development does not quite come up to our high standards of scrutiny, but that there is something about it that is making a contribution. Mentions are given to projects that can be seen to make a definite contribution to an area or place. The scale of this may be restricted in some way, but there can be no doubting the improvement that these projects bring. We are always seeking projects to consider and we would love to hear from you. Click here to be taken to our submission page.